Low global prices have driven multinational energy outfit ConocoPhillips to revise down over one billion barrels of oil, leaving even more of Canada’s hydrocarbon reserves untapped. The US-based oil player said that developed and undeveloped bitumen reserves in Northern Alberta totaled 1.2 billion barrels at the end of 2016, down from 2.4 billion barrels a year earlier, according to a report by Reuters. The oil sands have among the highest full-cycle break-even costs in the world, with new thermal projects requiring US crude prices of some US$60 per barrel. 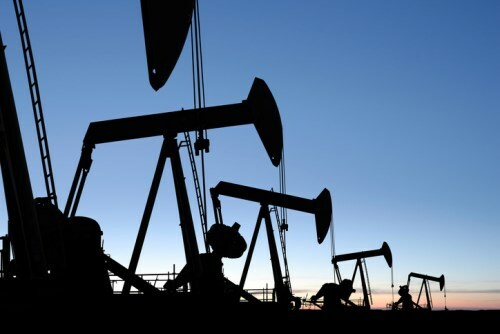 Crude futures declined to US$54.33 per barrel on Tuesday. In early February, the firm debooked 1.75 billion barrels of oil equivalent of reserves. Al Hirshberg, Conoco’s executive vice president for production, drilling and projects, said during a quarterly call with investors that the firm expects to rebook the reserves if current prices remain steady. According to GMP FirstEnergy analyst Martin King, the debooking probably had more to do with US Securities and Exchange Commission (SEC) rules that require companies to conduct year-end evaluations of economic reserves. However, the fact that 70% of the reduction was implemented in the oil sands region underlines the degree to which Canadian resources can become uneconomic in a weak oil-price environment. Imperial Oil, a Calgary-based firm that is majority-owned by Exxon Mobil, debooked 2.6 billion barrels of reserves in January. Conoco made their reserve reductions at four projects, one of which is a joint venture with Total E&P Canada. The other three are joint ventures run by Cenovus Energy Inc.
SEC filings showed that Total also debooked undeveloped reserves at their joint-venture project with Conoco. However, Cenovus said its total proved reserves, including non-oil sands operations, increased 5% in 2016 compared to a year earlier. Cenovus reports to Canadian securities authorities. Reg Curren, a spokesman for the company, said that different reserves reporting rules between Canada and the US are presumably behind the discrepancies.